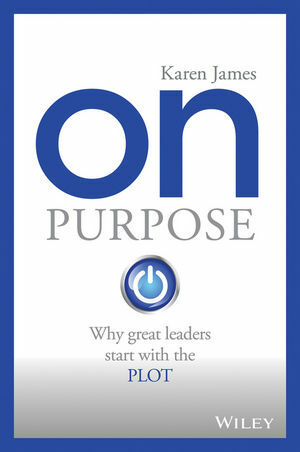 On Purpose is a modern-day business book for those who want to steer their work — and life — back on course. When your head and heart connect in both, our humanity becomes the hero in the story. Shed the mediocrity that comes from halfhearted decision-making, and rediscover your PLOT — Purpose, Leadership, Operations, and Technology — as you learn to live and lead with purpose. This insightful guide provides a framework for re-evaluating your direction, then stepping back and re-aiming the ship. It starts with a fable that illustrates just how businesses lose their PLOT every day, then digs down to the nitty-gritty to give you the actionable steps and practical advice you need to climb out of the rut. Deliberately ironic and witty, this book presents a fun, but informative read that is anything but cynical. You'll learn from the author's own successes using PLOT in her career, as she turned a $9M business into a $100M business and went on to drive international and domestic philanthropic ventures and leadership training programmes. You may already have a documented vision and mission statement, but that's no longer sufficient. You need to act and lead with purpose, every day, in every decision you make. You need to recognise and utilise good people and tools, and redefine your goals to make them worth striving for. On Purpose shows you how, and gives you the practical, tested guidance you need to start moving in the right direction. From fixing extended frame relays connecting to North Sea oil rigs, to designing and implementing a 600-seat virtual service centre for the Commonwealth Bank in 12 weeks, Karen James is a 'fixer' and 'doer' who holds people at the heart of every service model she rolls out. Using these principles, she turned a $9M business into a $100M business early on in her career, and set the tone for her future in business: have purpose, build the right culture, and bring in amazing leaders who are, above all, human. This same approach reaped rewards when Karen later co-created a cross-cultural change program for the Commonwealth Bank. Partnering with The Hunger Project and McKinsey, she implemented a leadership-lesson program based on the teachings of women in rural India. The program has directly changed the lives of over sixty people since, and its transformational ripple effect continues to make monumental changes to this day. These days, Karen is guided by her own Why. She is on a heartfelt mission to help people in business find their own inner leader and feel empowered to be the change that we are all headed towards. She believes this change represents a global shift in direction, inviting a new economy based on connection and humanity. It’s where the future of business lies – and it’s where tomorrow’s leaders will be inspired to create positive change for us all.